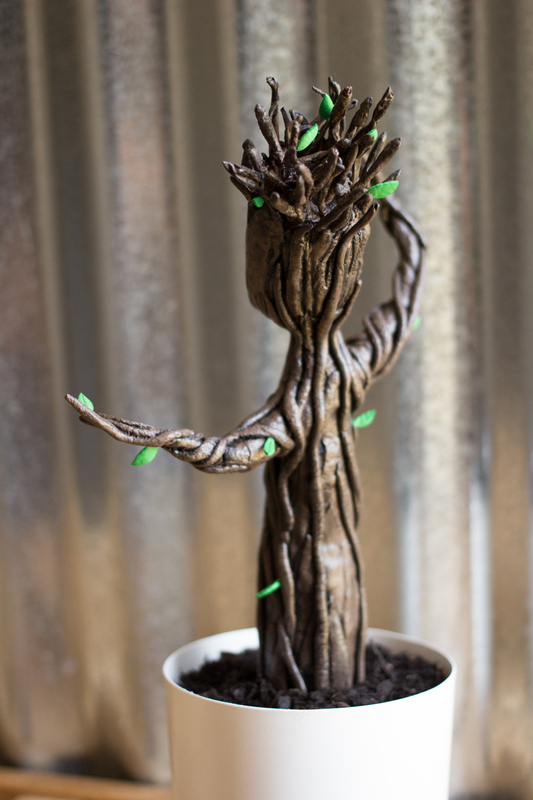 I really loved the dancing sapling Groot at the end of 'The Guardians of the Galaxy'. After seeing it on opening day, I made this the same weekend. Since the movie just opened there was very little reference to work from. I found only one darkly lit screenshot available for reference. I made the body from craft-foam covered in Worbla. I sculpted his face out of Apoxie Sculpt. The leaves are craft-foam. I had the fortune of this piece being featured on the FaceBook page of The RPF! 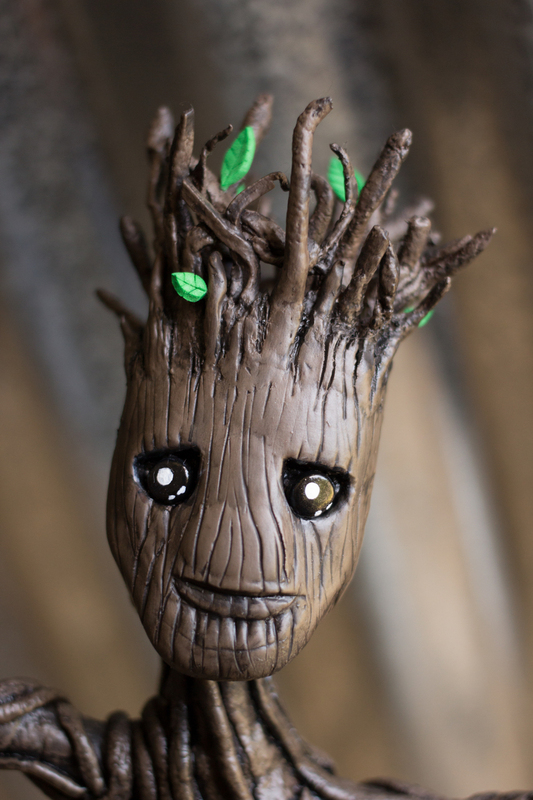 Click here to see how I created Groot.